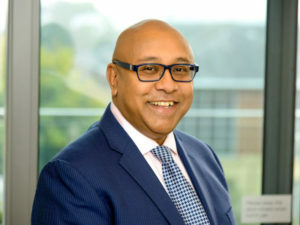 Activate Group Limited (AGL), which provides fleet accident repair and insurance claims solutions, has appointed Paul Pancham, currently claims director at Tesco Underwriting, as a non-executive director. Paul Pancham joins AGL as a non-executive director. The role will see Pancham provide AGL with specialist knowledge, skills and assistance, while supporting the business on new projects, fundraising and mentoring senior management. The announcement comes just days after AGL acquired RVM Assist for an undisclosed amount, following the recent acquisitions of Car Repair Network, Sopp+Sopp and Vigilance. Pancham has previously had responsibility for a multi-billion insurance claims spend across multiple products in both personal and commercial lines, and has held roles with Jaguar Land Rover, BMW and Norwich Union/Aviva Plc. He has also invested in and owned a number of businesses including privately owned accident repair company DWS, where he was CEO until April 2017. Commenting on Pancham’s appointment, Mark Wilcox, chairman of AGL, said: “He is a highly effective business leader with a proven track record of developing industry-leading solutions across the insurance and customer service sectors. We believe his joining our board is an endorsement of our business model and we look forward to working with and learning from him.”For more of the latest industry news, click here.